Do employment verifications and background checks consume a significant amount of your HR department’s time? Outsourcing these functions is a great way to increase the efficiency of HR personnel through the elimination of these time-consuming tasks. But it’s not as easy as just calling up an employment verification company and passing the baton - there’s still a lot you need to know. The following is a collection of employment verification practices along with additional information that details the steps involved in processing background screenings. When submitting a request for background screening services, it is important that the CRA is supplied with as much information from the applicant as possible. There may be instances where an applicant has changed his/her last name or may use a nickname that they failed to include on their paperwork. This omission may result in a discrepancy when trying to verify information. When an applicant is providing his/her employment history, it’s important that a full name and address for the employer is provided. In many cases, an applicant may list the name of the employer but not include a complete address (ex: street name, city, state and zip code). Small businesses may be difficult to locate without a complete address. It is also important to provide a contact number for employers. Applicants may provide a phone number for a friend they have worked with to try and verify their employment, however a CRA must contact the company directly to try and verify information through the HR department or previous supervisor. By providing the correct and necessary information from the start, this helps the screening provider to avoid delaying the verification because they must research a company’s information. In order for a CRA to perform a background investigation, an applicant must sign an authorization and release form along with a disclosure statement giving their consent and knowledge that an investigation is being processed. As an employer, you will want to keep on file the signed disclosure statement. The authorization and release form is submitted to the CRA along with the applicant’s information to be verified. For companies who submit their investigations via electronic format, it’s always a good idea to have an authorization and release form with a “wet” signature on file. Difficulties may arise, especially with schools, in accepting electronic signatures. It is the policy of some schools to only accept a “wet” signature on an authorization and release form and therefore will not verify any information when supplied with an electronic signature. As an employer, you should only request the necessary background searches needed for the position you are seeking to fill. Don’t request additional searches that don’t pertain to the position for which the applicant is applying. For example, you wouldn’t process a motor vehicle check on an applicant who would not be driving for the company. This unnecessary search would not only increase your costs but could also delay receiving case results. It’s always good to have a company policy in place for the searches you need to perform for various positions within the company. 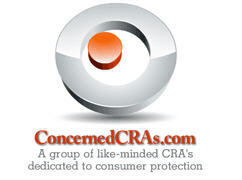 CRA’s work diligently to obtain verifications as quickly as possible. There are some situations that are out of the CRA’s control where information cannot be obtained in a timely manner, if at all. When trying to verify education, it’s important to note that if a CRA is trying to verify an older issuance it is a strong possibility that records have been archived to storage, in which case it could take the school a long time to locate records. Schools as well as employers may never return an answer to a verification request. Sources at these locations have primary duties to attend to and verifications may not be their top priority. There are some sources that return information in an expedient manner and are very cooperative, whereas other sources may never return a response to multiple requests. When contacting an employer for verification, the CRA is looking to confirm dates of employment, the position held by the applicant, a reason for leaving the company and if the applicant is eligible for rehire. There are many companies that maintain policies that prevent them from divulging certain information such as salary, reason for leaving and eligibility of rehire. Some employers may ask the CRA to provide them with the information listed by the applicant and they will either confirm or deny the validity of the data, but will not correct any discrepancies. Many companies will verify employment information over the phone while others require a verification request to be faxed or mailed along with a signed authorization and release form. A growing trend for employers is to outsource their verifications to a third-party source, in which case there are additional fees incurred to obtain employment verifications. When verifying education, (GED, high school diploma, adult high school diploma or degree) a CRA will try to confirm the date and issuance indicated by the applicant. Schools will confirm this information either verbally, through fax or by mail. There are some institutions (mostly colleges and universities) that have outsourced their verifications to a third-party source, in which case, there are additional fees incurred. When a school states that they are unable to locate a record for the applicant, it is helpful if the applicant is able to provide a copy of their issuance to the CRA. Once a copy is received, the CRA can then contact the school and provide them with the copy to determine the validity of the document. There are two types of reference verifications that may be requested. An employer may opt to have a CRA develop references for an applicant. This type of verification does not require the CRA to contact references listed by the applicant, but rather to contact a previous supervisor or manager and try to develop a reference through them. This type of reference verification can be difficult as many supervisors are not always willing to provide a reference for an applicant and it may be company policy to not give out personal or professional references. Employers may also request a CRA to contact references that have been listed by the applicant. References are usually contacted via telephone but some may request that the questions be sent via fax or e-mail accompanied by a signed release. A CRA will make every attempt to verify references, however some individuals may never return phone calls. Sometimes it helps if an applicant can provide both a daytime and evening phone number where a reference may by reached.